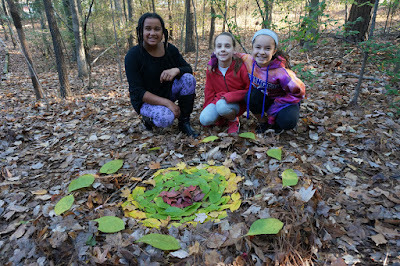 This is always one of the students' favorite units of the year. They love getting outside to create, and I purposely plan the lesson for the fall when the weather is (mostly) cooperative, and the changing leaves provide more opportunities for the students to incorporate color into their artworks. 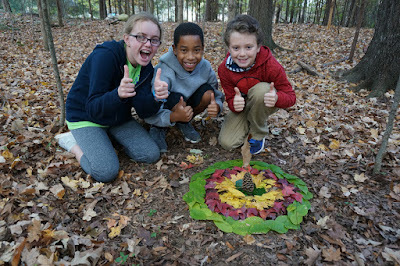 As usual, we began the unit by reviewing some ancient examples of land art that was likely created for religious reasons (Great Serpent Mound in Ohio and the Nazca Lines of Peru, for example) long before the medium was used to create art for art's sake (or to raise awareness of environmental problems). 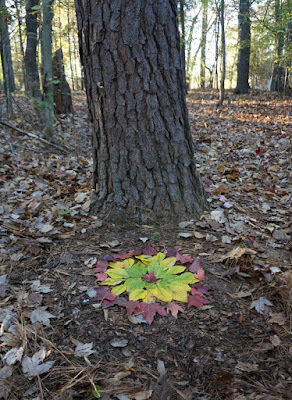 Then we reviewed the work of our biggest inspiration, famous land artist Andy Goldsworthy. 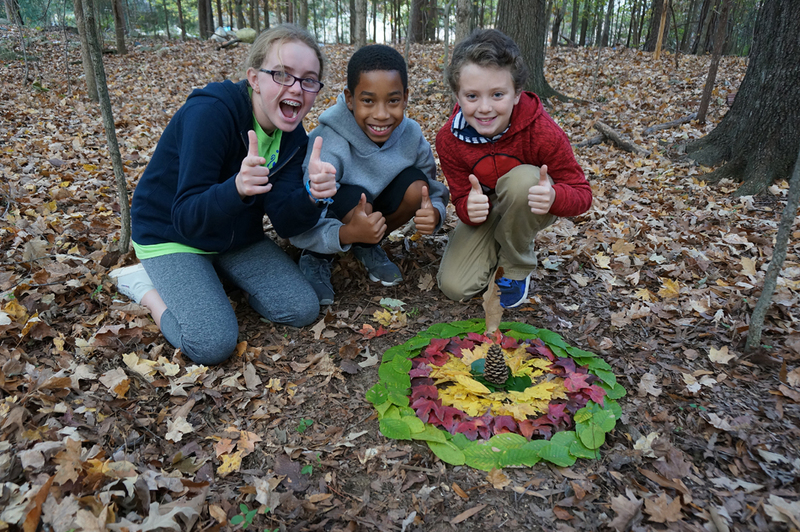 Students focused on how Goldsworthy often uses only one material and emphasizes only one or two primary elements or principles of art (for example, line, form, or contrast). 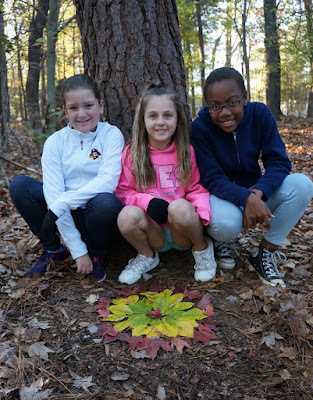 Students were challenged to emulate this method and encouraged to create on a small scale so that their works could be completed in just one class period. 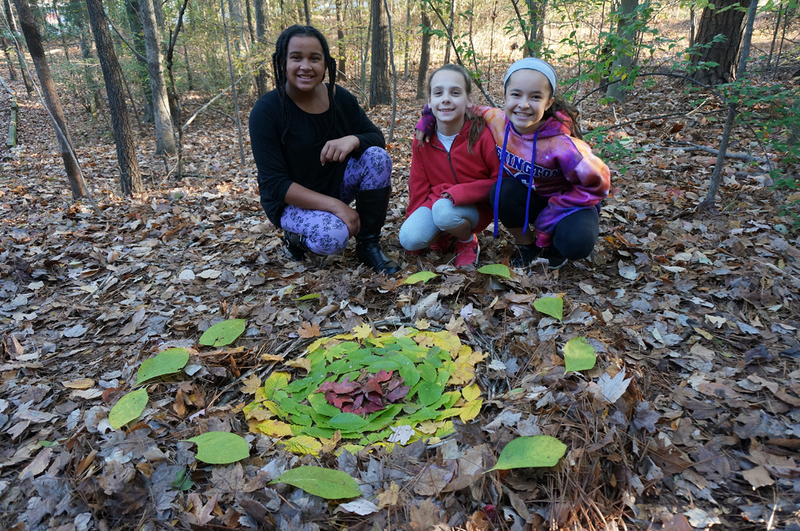 Given the short amount of time and the relatively limited materials afforded by our small Nature Trail area, students responded with very strong artworks!